Update: Claro Energy has won First Prize, and one million yen, at the 2017 Asian Entrepreneurship Awards! 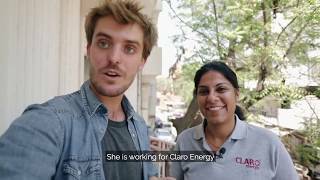 Congratulations to everyone at Claro Energy. Visit the Asian Entrepreneurship Awards website for more information about the program, and to learn more about the other nominees.